I spent some more time on art today. I continued to create dungeon art assets by expanding the mockup from my last update. 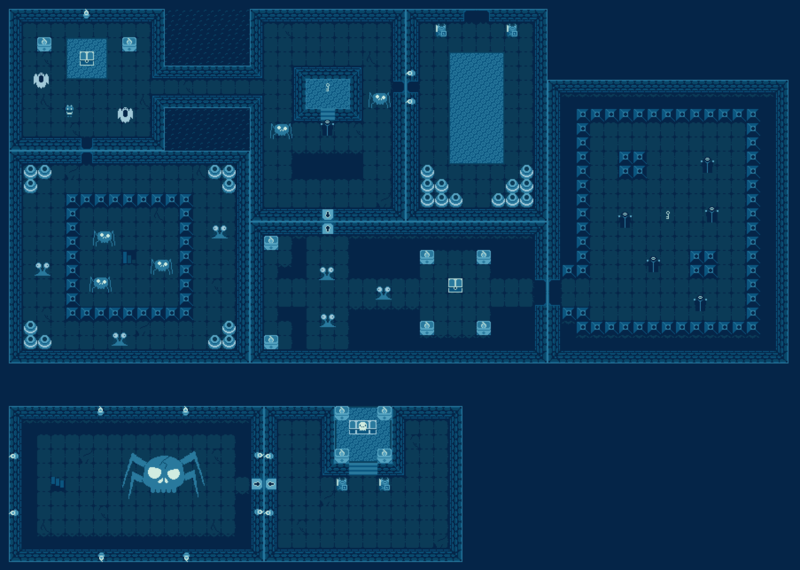 Here's a final version of this dungeon mockup. I threw in that giant skull-spider as a sort of placeholder for a boss. Though, I might still use it.